Pre-heat oven to 190°C. Cut capsicums in half and remove the seeds and pith. Heat the oil in a non stick frying pan and add the lime and lemon zest, Moroccan seasoning and almonds. Cook for 2 mins, stirring constantly. Add the cous cous to the pan along with the corn kernels and heat through. Stir in the salmon, feta cubes, tomatoes and citrus juice. Spoon mixture into the capsicums, pressing firmly and piling slightly. 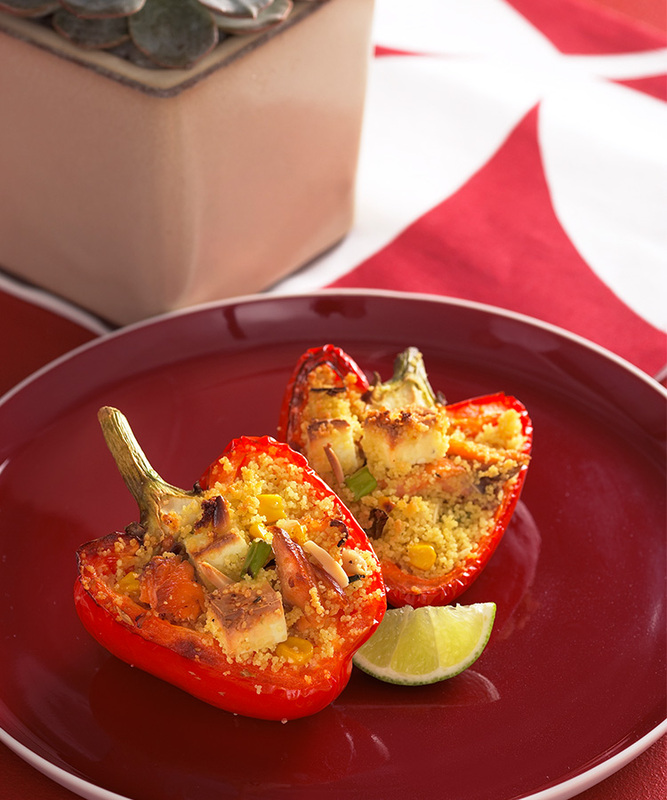 Place capsicums onto a lined baking tray and bake in the pre-heated oven for 20 minutes. Serve hot with crisp garden salad and crusty bread.